Web pages are all created, text is proof read, images are appropriate, social media sharing is present and contact details are there. A link has been provided to access Google Analytics reports. See website performance for any date range. Create benchmarks. Review at regular internals. If using a CMS then a plan is provided to perform updates and security patches when needed. To raise awareness of the new website requires some promotion. Add important web pages into Social Media such as Google+, Facebook, Linked In, Twitter, Pinterest. Add links from your other online profiles such as Google Map profile, Facebook profile, Linked In profile, Twitter profile and Directories your use. Use your website address in your email signature block, on letterhead, on business cards etc. Contact relevant business partners with a website to ask for a link to your new website. Include your website address in customer correspondance. 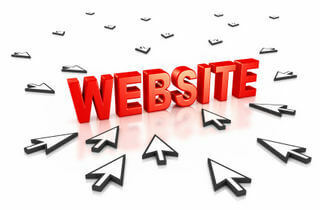 Consider starting a Pay Per Click campaign for your new website. Compare cost of acquiring a customer versus lifetime customer value. Consider answering online questions with links back to your website for the full solution. e.g. Yahoo Answers, Twitter.